This hinged box is from my mom's apartment. It's not really wood. It's a hardboard with faux wood grain look. It has an interesting shape. It has a metal clasp in front, and metal ring handles on the sides. 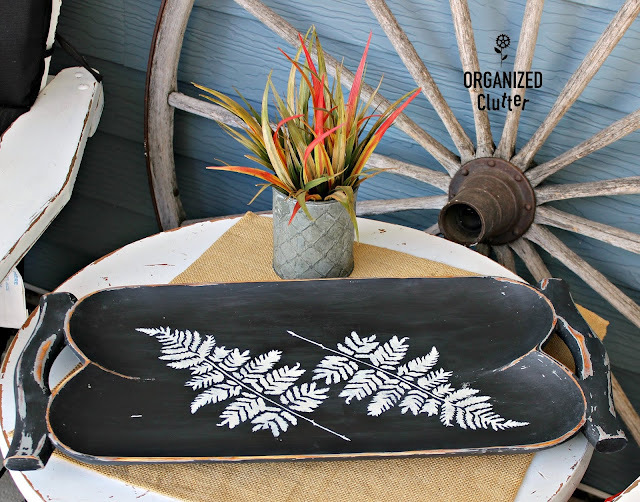 This wooden tray is one of my thrift shop finds in August for $4. Both get a makeover today! 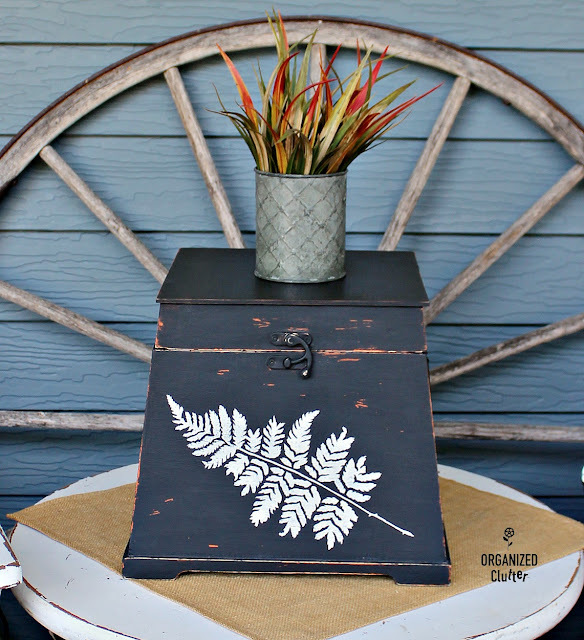 I painted the hinged storage box from my mom's house with two coats of Dixie Belle Paint Company Chalk Finish Paint in Caviar (black). 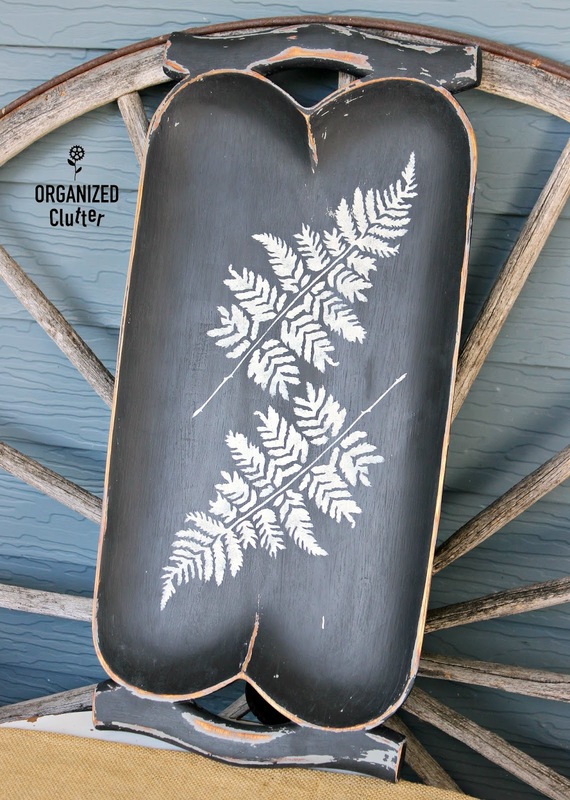 This Fern Stencil is from Hobby Lobby. I will use it on both makeovers. 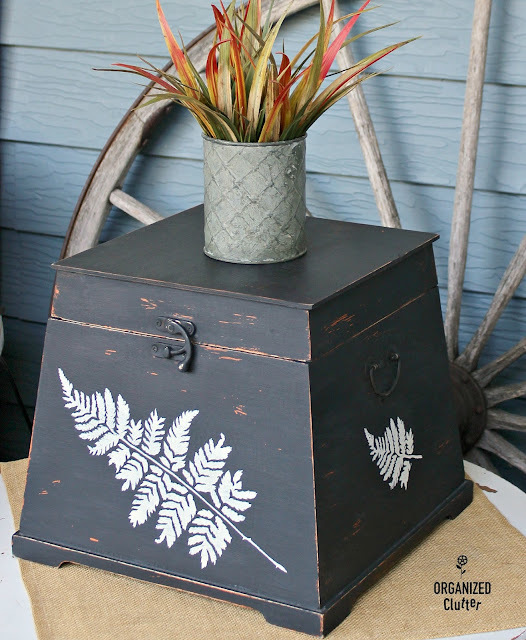 I stenciled the fern with off white paint, and distressed the edges and center areas with 220 grit sandpaper. The faux wood grain shows through in many areas. 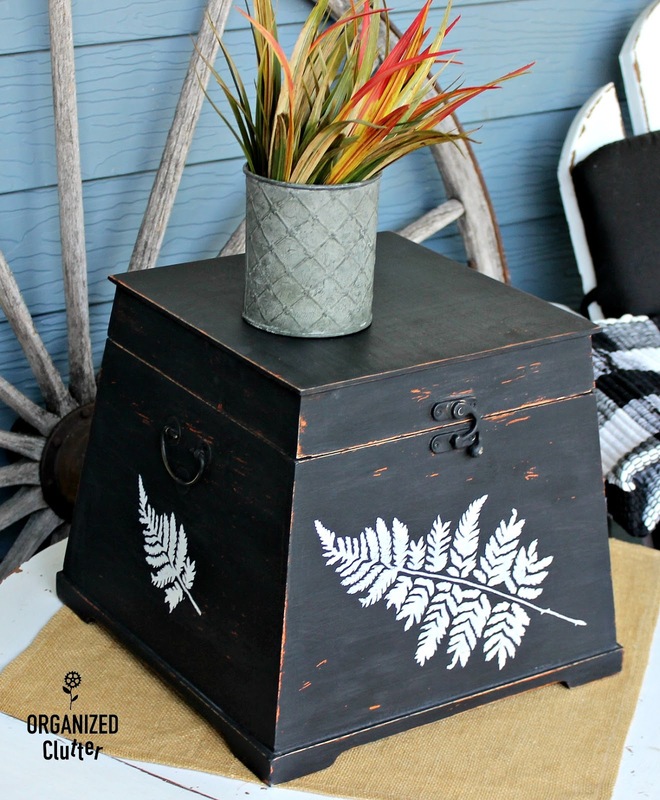 I waxed my storage box with Dixie Belle Paint Company Best Dang Wax in Clear, using a tee shirt rag to apply a thin coat and another tee shirt rag to buff. Look at the rich color after the wax! The sides have a partial (top part) of the fern stencil. The storage box has a whole different look! The tray was a whole different story. I first painted it gray. Didn't like it. So I painted over the gray with Dixie Belle Paint in Caviar. 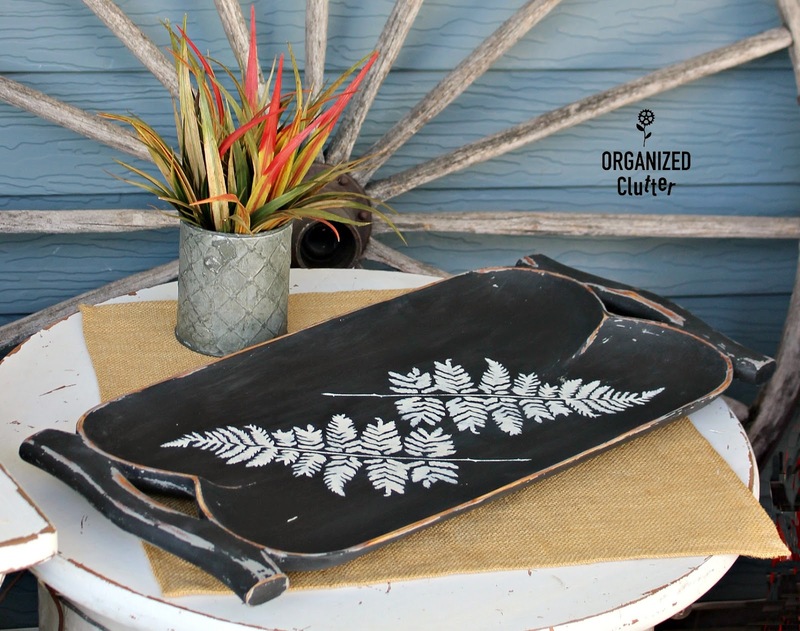 After stenciling with the fern stencil, distressing with 220 grit sandpaper, and waxing with Best Dang Wax, I am happy with the tray. My daughter wants the tray for her coffee table! 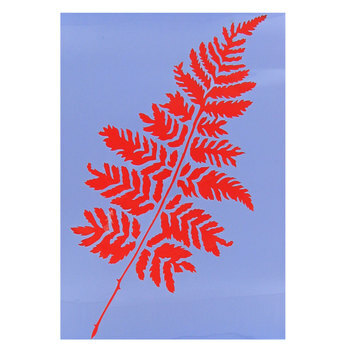 Do you like the fern stencil? 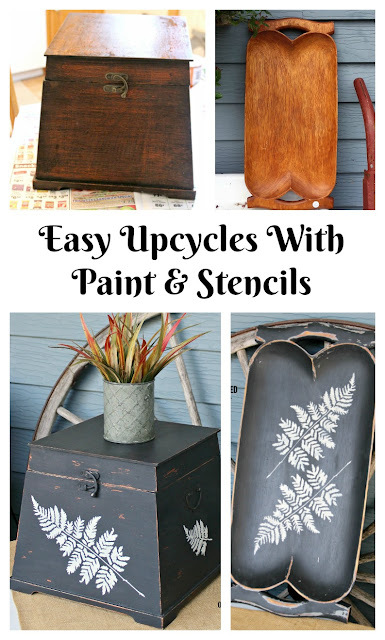 Dixie Belle Paint Company provided me with complimentary samples. Both pieces are just gorgeous! 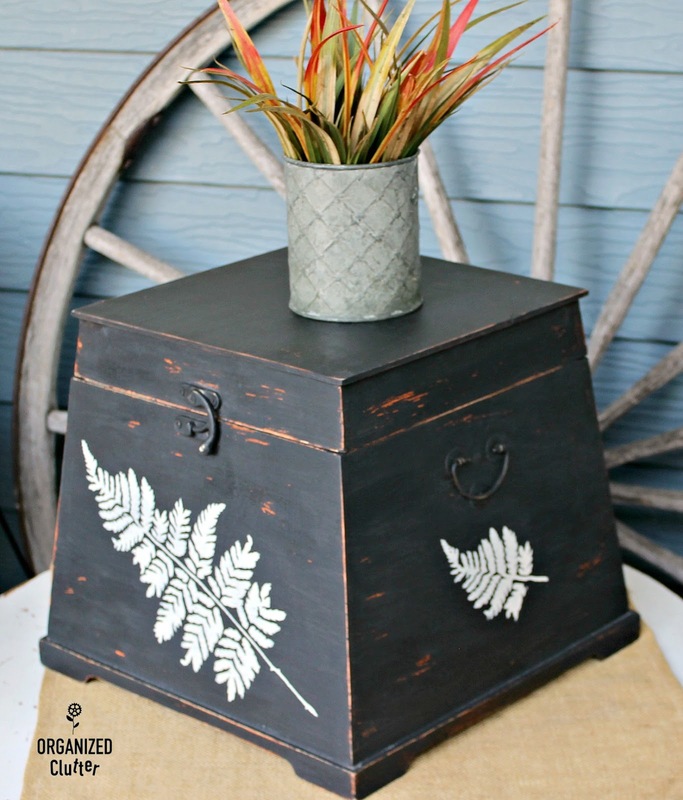 I hesitated with the box to see it painted but the outcome was unbelievable!